It's time to talk Father's Day gifts! Ok, maybe a few weeks ago would have been better, but we can still find some amazing and eco-friendly options now. And you will still have a week to figure it out. But first, a mystery. 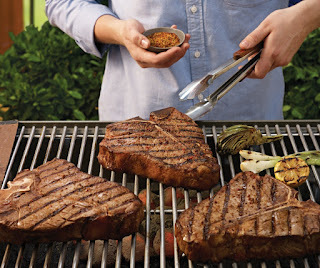 Why is it that every discussion of Father's Day comes with a picture of a grill? And a man in an apron? Do people just get their father a grill every single year? 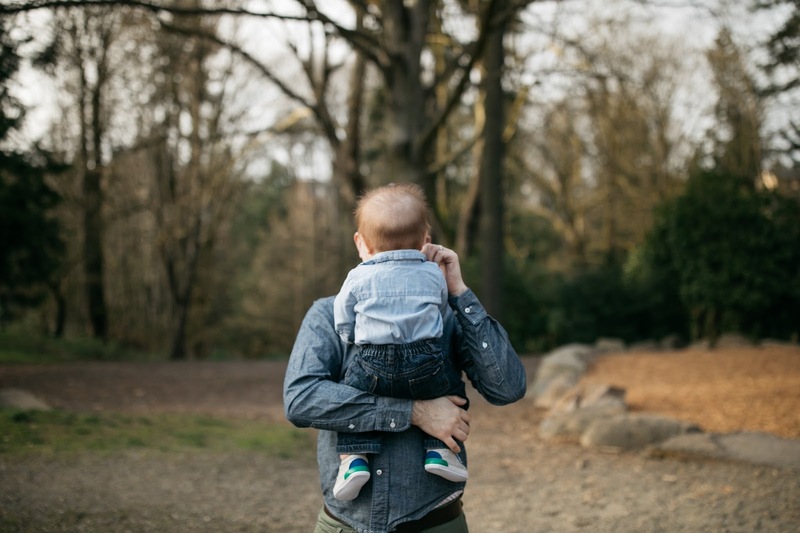 The role of father can be downplayed, like somebody else does all the real work, but that is rarely the case. Some may play second fiddle for breastfeeding and public diaper changes (I hate you stupid Koala bears- go in the men's room for a change! What are gay dads or single dads supposed to do when there is a blow out grocery shopping? 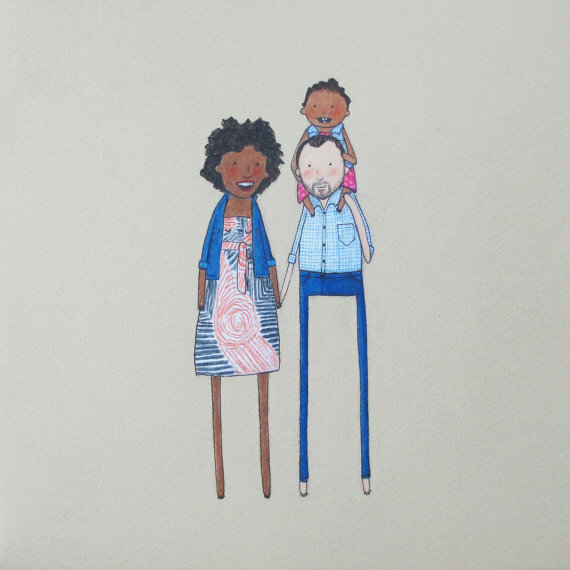 ), but in all other facets of raising children, dads are getting it done! This is their day to be appreciated, but that doesn't mean you have to spend a lot of money or make a wasteful purchase replacing grill tongs that are just fine. 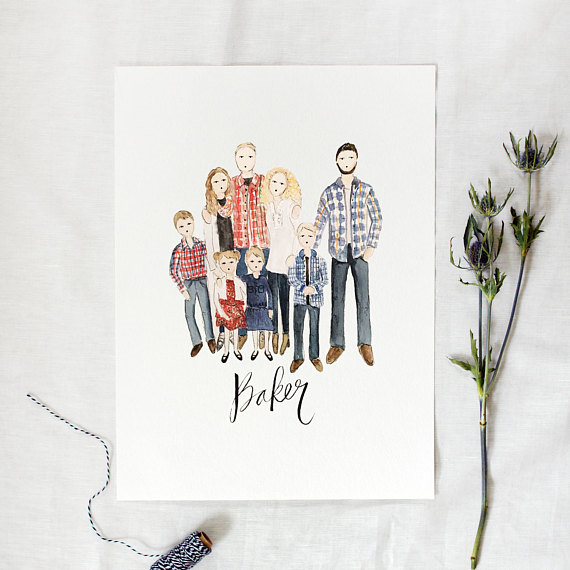 In fact, the word thoughtful gets thrown around a lot when it comes to Mother's Day, but dads can be just as appreciative as a cool thoughtful gift. 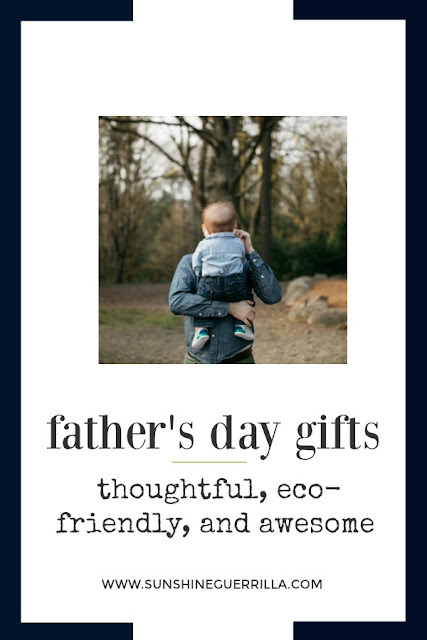 And I think most dads just want to see their kids be happy and successful, so why not work toward that by thinking about the future and buying environmentally responsible gifts? I bet your dad would love for you to breathe clean air and drink clean water. We can find gifts that fit the bill of being sentimental and green at the same time. 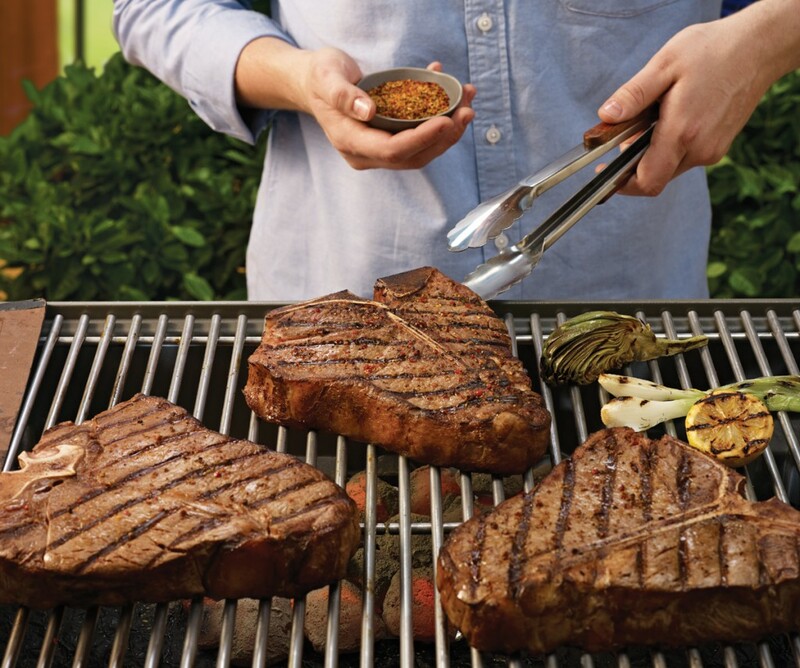 So stop buying freaking grill tongs and start getting something your dad might actually want. You know why those darn millenials never want to grow up? Because being an adult is freaking terrible. It's all laundry and dishes, and it never ends. Why not do a day of whatever it is he would do if he hadn't spawned and has to be responsible? We don't do bum days often, but that is basically my plan for Father's Day. It doesn't have to be complex or fraught- how about a day in sweats playing video games or board games or watching movies? And no cooking, laundry, dishes, and whatever else is always on his to do list? You could also pick some sort of toy he would like (I am thinking like giant yard jenga) and just spend the day playing with it. For his first Father's Day, I bought the boy a Gameboy, and it is still probably the best gift I have given him for this. Good to devote some time and thought into what is actually fun for him. No joke, when I asked The Boy what I should put on this list, he said "meats, local meats." So, there you go. For an eco-friendly list, I would generally skip meat, since one of the best ways to limit your impact is to eat less meat. There is some wisdom to this idea, because no matter where you are, there is probably local meat you could be buying somewhere nearish. Our family is deeply committed to Skagit Valley Bacon, which is the best bacon on the planet. Maybe second best is near you? It will be a splurge, but buying local means you can know more about where it is from and cut down all the emissions and fossil fuel usage that comes from shipping. You could also look into getting some spice mixes or rubs, which is consistently a big hit in our house. But seriously, stay away from grills and any grill tools or aprons. Yeah, yeah, this isn't as green as beets or spinach, but if your dad likes meat (or seafood for that matter) this is a green way to make it a treat and a boon to your own local economy. Even the guy who has everything still has to eat. You could get some pretty fun food gifts as your father's day present. I think a collection of hot sauces (including your own) or pancake mixes or coffees could be great- really it is all about what he enjoys cooking and eating! Another route to take might be to get him a really great lunch sack to take to work. I did a whole blog on great ones that might be worth checking out if you think he might get a lot of use out of it. Retired or eating at home? What about some great glass food storage to help him keep life and his snacks in order! You could also just cook him every one of his favorite foods for a giant dad-themed feast. You could brew him his own signature beer or each bring one of his favorite drinks too. If you just start with "awesome day of food," you can only land in good places. Ok, very specific suggestion, but this thing from bkykid (Indiana) is damn cool. They have a bunch of different styles (cars vs trains vs spaceships). And I would like to think it feels more like a massage than being pummeled. Finally, I understand why God made little boys like cars even when you try to hide the existence all automobiles from them. 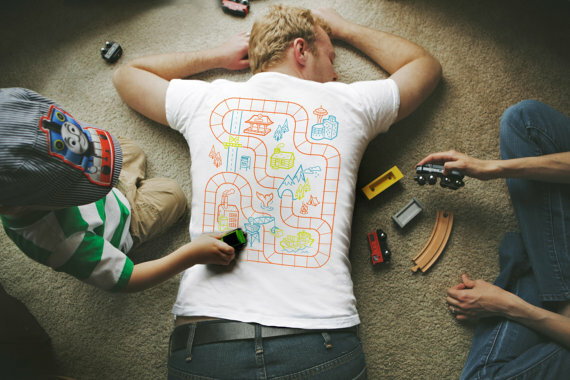 Simple and genius if the dad you're shopping for has a transport-obsessed boy. A Baseball Game. Not too expensive (because they have a million games), but really fun. Bonus because baseball knows how boring it is and compensates accordingly. Not his kind of tickets? How about movie tickets, museum tickets, or a night to the theater or symphony? A Ride in a Fast Car. You can go to a racetrack and go for a ride along in a race car or even drive it. Might be cool! Skydiving or Ziplining. Ok, this is definitely not my dad, but it might be yours. Family Cooking Class. It could be really fun to go learn something all together. If he is more of an eater or drinker than a cook, you could plan a food tour in a nearby town? Go Golfing. If this is his thing, maybe a day out on the course with all of you would be fun. Or a day without all of you. Maybe just go to the hitting range? Is that what it's called? Buy him a pile of books (you can get most books used on Amazon, or check out a local bookstore) and leave him alone to read them. Maybe combine this with finishing something off his to do list for him or working on a big meal for him. But just getting to sit and read might be a pretty cool treat. If you want to go with a book theme, you could also make him a little book on Artifact Uprising. 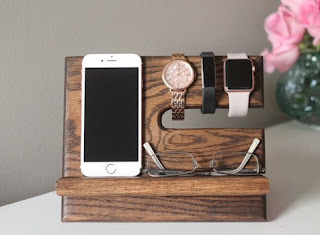 A Wallet- Classic, but actually useful! These minimalist CRichardsLeather ones look great. Tech Docking station- Because we all live with a hot mess of cords, why not get him a cool night table organizer like this one to save his sanity? I like these ones from ClassicCoastalIndust, DOCKSMITH, and anything from WittyNovelty. Mail and Key Organizer- One of these might really help? Check out MidnightWoodworks and SixFingerStudios. Lists of Father's Day gifts are always kind of unfeeling (that damn grill again), but I know SO many dads who are by far the sentimental one in their family. 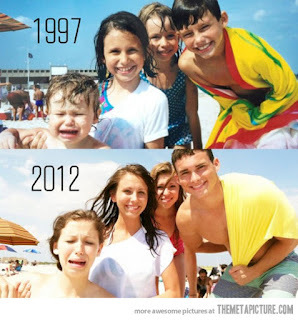 My favorite sentimental gift for older kids is the recreation of child pictures. These are so hilarious, but they are also really sweet. They make me smile every time, it would only cost you a frame or two and the printing (check out Artifact Uprising, who use recycled paper). 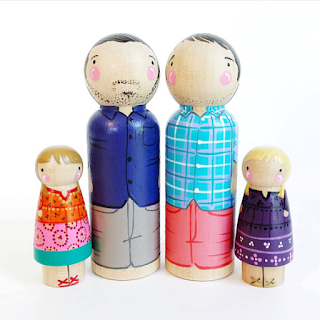 If you are shopping for a father (or grandfather) of younger kids, a craft might absolutely do the trick . There are tons of blogs about this out there, but I do like this list. If the dad you are shopping for is anything like The Boy, he has a to do list that just never shrinks. Only ever gets longer. In late spring, that list only gets longer, because we have a garden to take care of as well. This may not be universal, but it feels pretty close to it. So instead of buying one more thing he has to take care of, why not give the dad in your life the gift of one less thing? If you are short on funds, check in and figure out what on the list you can do yourself, and surprise him with something totally off the list. If you have a little bit of money, why not get a handyman to do a few of the things on the list that maybe stay there because he is a little intimidated (or not excited) about the job? Something that might take your partner or dad hours to do might be a quick job for an actual professional. Yeah, that list might still be endless, but the freedom from a task or two might be a real gift, and I bet he would be genuinely touched if you rolled up your sleeves and helped him get the work done yourself. For the record, when I mentioned this one to The Boy, he made a "hey, that's a good idea" noise. Because he doesn't want to fix that door, and wouldn't it be a treat if someone else did it for him? If you are an adult child still wondering what to do for your parent for Father's Day, I think the answer is identical to Mother's Day. Show up (maybe with some sort of plan?) and be happy about whatever you are doing. Go work in the yard with him, or sit around and talk with him, take a roadtrip to somewhere nearby or pitch in and make him dinner. That person used tp spend almost all of his "free" time with you, so give him one day, because he misses you. But not your lip. You can still do this! You don't have to spend a ton of money, keep the Grill Industrial Complex afloat, or create a lot of waste. Just think about the things that actually make that man happy and go from there to make him one of the best Father's Days ever! If you want more shopping inspiration, check the Giant List of Shopping Lists. Haha, my hubs totally needs #4. I think it is his dream shirt! I'll probably do #9 as well! Right!?!? Every toddler parent needs an excuse to just lay down! I love each and every one of these gifts!!! 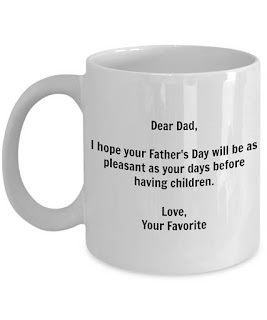 I am trying to do the nontraditional Father's day gifts this year, so thanks for your ideas!!! You're welcome! I am always trying to think of fun, creative gifts. Don't want to be boring! Hahaha he is so committed to meats! I thought it was more fun than a grill apron or something. What was it? The t-shirt? You and Harrison can totally get some matchbox cars out. What wonderful ideas - thank you!